Yoga with a private teacher, otherwise known as, “One-on-one Yoga,” is often experienced as the most rewarding way to discover the depths of the Yoga teachings and practice. On a regular basis, I repeatedly hear from my students, that within a few weeks of working with me they have learned more about Yoga and experienced more benefits, than in several years of big studio group Yoga classes. Testimonials see here. Interested? Then the first step is to come to an Introduction Class! During this first meeting we have plenty of time to get to know each other. In this 2h30min session we will start with a first trial Yoga practice and conclude with a good long talk. Please tell me about yourself in general and as well as your individual needs and wishes specifically. I will ask you about your expectations and goals concerning Yoga and health. You will also get a first impression of my style of teaching. 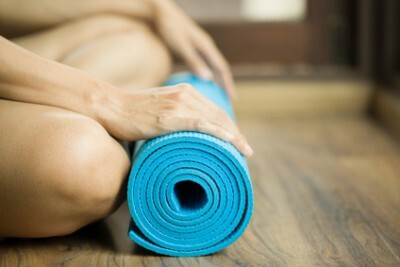 We discuss the Private Yoga Program and how it can ideally meet your expectations. I explain the course content, format and general course policy. If all goes well and we both have the feeling that we could work well with each other, we can then set up the times and dates of your personalized 1st course block. I offer an ongoing Private Yoga Training that is individually tailored to your physical abilities, your professional needs and spiritual interests. A regular weekly or biweekly Yoga class schedule insures the continuity needed for you to make steady progress and help with the personal transformations you might experience. Discipline, is a core teaching of Yoga and is therefore practiced with a steady commitment to the classes. So firstly, we fix dates and times that are most convenient for you and possible for me. Ideally, on regular days each week; including special arrangements for holidays. 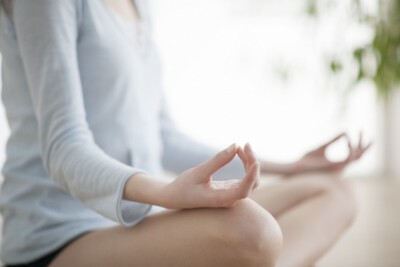 For sick days or stressful times as well as during menses (for women) or physical injuries we keep the prearranged classes but adapt them to a special restorative practice. I use these times to teach you how to use Yoga and it’s techniques therapeutically. You learn to counter the effects of stress and prevent further symptoms such as, muscle tension and pain, fatigue, feelings of depression and anxiety, insomnia, digestive difficulties, burnout and a general feeling of dissatisfaction and discontentment with you and your life. Since, I am also specialized in pre-and postnatal Yoga we can change and adapt your Yoga practice anytime to suite your special needs during this beautiful, yet possibly challenging time of life. Yoga is a continual process and a regular self-practice is needed to reap and enjoy the fruits of Yoga. The more regular you practice Yoga, the deeper you can go into the process of mastering the physical discipline as well as mental concentration and emotional relaxation. You will feel the benefits of Yoga, not only during or right after class but also as a continuously positive influence in your day-to-day life. Experiencing more harmony in relationships. You can receive the above benefits through your own initiative and with my continual support, if you make what we learn in class, a part of your daily life. With the handouts of each Yoga sequence and Yoga topic that you will receive, you will be able to integrate your personalized Yoga practice from the very start, by utilizing it optimally into a regular routine. At the end of each course block, we will record your class as an Audio CD for your personal home use. Also, special Yoga- philosophy cards are included for teaching purposes. This will enable you to practice at home with the most regularity. The Private Yoga Training is arranged in 10 class-course blocks or 5 class-course blocks. You decide if you want to take advantage of a personalized Yoga schedule for several months or if you want to make Yoga and this special training a part of your life over several years. Each course builds up on the previous one and is based on my Yoga curriculum as well as your individual stage of practice, progress and specific needs. In each block we build up a specific Yoga sequence with a special emphasis and focus. Regularly, there are summary classes and Restorative Yoga classes, as well as special classes in the evenings, during menses and sickness. Each course is prearranged and prepaid. For more detailed information on Yoga Styles please click here. I teach Yoga in English. If the student doesn’t understand English well, I will translate into German. Questions can be asked and answered in English, German and French. Healingspace is a private office studio devoted to holistic health and well-being. I share the space with my husband, Jens Wolff who specializes in Coaching and Energetics. It is conveniently located in the 3rd Vienna District -Wien Mitte/Landstrasse U4 and U3. There are also plenty of public parking spaces. Enjoy your Yoga class in your own home or at your office space without wasting time for travel. Extra bonus: Plus, you can stay in end-relaxation pose as long as you like! The phrase I hear the most is, “I don’t have enough time for Yoga.” I know it is not easy to fit in time for a yoga practice given family and professional responsibilities, but even then or especially then, Yoga can do a lot for you. Just practice your Yoga lessons at home and save a lot of time! Additional Charge: There will be an additional house call charge that depends on the time and distance I have to travel. It amounts to 50,- or 100,- Euro per class. Do you prefer the atmosphere of a specific Yoga studio or want to organize a Private Group Course or Workshop? Then I can also rent a room at a Yoga studio. Additional Charge: In this setting there will be an additional studio rental fee besides the regular Private Yoga Course fee that can be shared equally between the group’s participants. For a 90 minute class you can count on about 35,- Euro extra. The regular Private Yoga Classes will be arranged and charged in 10 class-course blocks (90min, one to two times every week) or 5 class-course blocks (90min, once every second week). The exact prices of the different course block options will be discussed during the First Introduction Class.